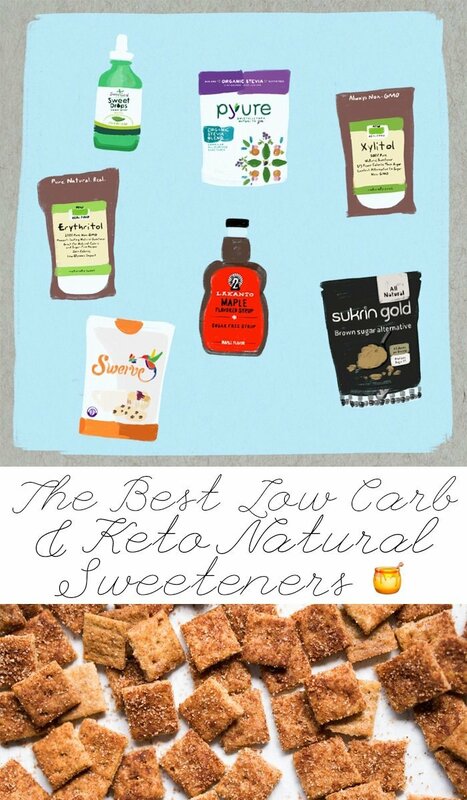 Think of this as your ultimate sugar-free sweetener guide, where you’ll find the best low carb and keto sweeteners (all natural of course! ); for any and all keto kitchen adventures! Starting with your morning coffee, to crisp cookies, ultra-scoopable ice cream, and overall baked goods! 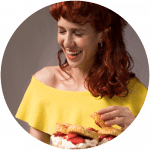 It’s widely acknowledged that taste perceptions when it comes to keto sweeteners vary widely, but they have come a long way from the suuuper odd aftertastes of only a few years back. So I’m confident you’ll find a favorite one within this list! As you may’ve noticed, getting the sweetener right in keto baking is often as important as the flours. Each one behaves differently as they have different melting points etc, so use the following list as a guide. Oh, and note that gnom-gnom is in no way sponsored. I’ve simply tried and tested our way through dozens of products, and are happy to recommend. Now, do tell and share! Which one’s your favorite? I’m still awarding stevia the top price as it’s the one I use the most for daily (non-baking!) tasks, particularly in the form of drops. 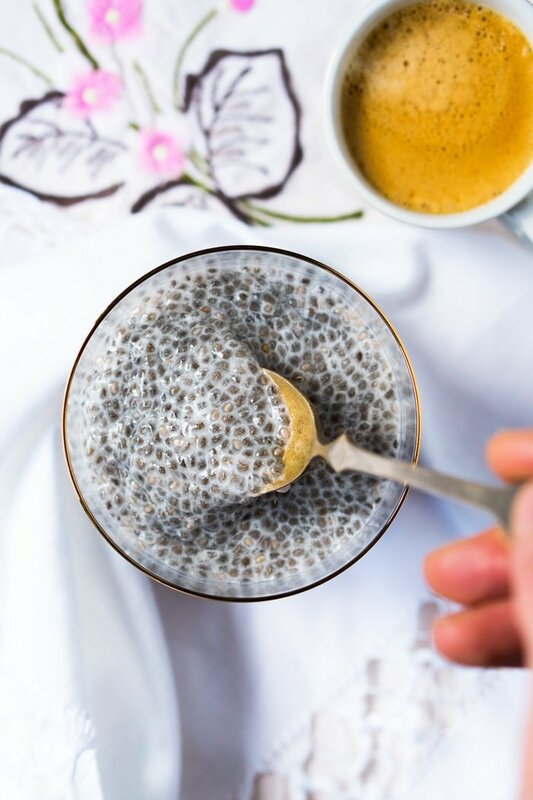 They’re awesome in chia puddings, tea, coffee etc… and they’re a great way to keep your consumption of sugar alcohols limited to baked goods. Just be sure to steer clear of any chocolate when stevia is around, as most peeps get a bitter and rather horrid aftertaste (particularly if warm). So no hot chocolate, and definitely no keto brownies for this one! Now, stevia drops were one of the first stevia products in the market, but they’ve since come a long way. I like SweetLeaf’s range best, from the plain to the vanilla (my favorite! ), chocolate, hazelnut, and even English toffee-infused. Oh, and with stevia drops you definitely get more bang for your buck. About 3 drops equal 1 teaspoon of regular sugar. Monk fruit gets its name as it was literally cultivated by Buddhist monks over a thousand years ago, and it’s also a zero glycemic sweetener like stevia. I use it sparingly just like stevia in non-baked goods, as I’ve yet to bake successfully with the pure sweetener. Still, if you’re not a fan of stevia this one really is worth a shot. I find its aftertaste to be quite pleasant (can’t explain it, you gotta try it!). And note that when blended with erythritol, however, it works great for baking (see below). Erythritol blends are growing in market popularity as they lessen the cooling effects of erythritol for most peeps. Plus, they lower the amount of sugar alcohols you consume; which is always a plus in my book. Frequent blends are either stevia-erythritol (think Pyure’s organic all purpose blend ), which measure 2:1 to regular sugar. Or monk fruit-erythritol (such as Lakanto’s solid products), which can be either 2:1 or 1:1. The 2:1 blends work great in anything from muffins to cakes. They might rise a little less, but in all honesty I use Pyure for all the muffin recipes on the site. But keep in mind that, because baking is pretty geeky stuff, you sometimes need it to be 1-to-1 to sugar as you need the bulk (think cookies, brownies, etc). And you can make your own blends! I’m currently experimenting on sharing a recipe for my favorite blend (best taste, lowest GI possible, and best performance in baked goods). But you can also experiment by mixing stevia and monk fruit with erythritol and/or xylitol. Oh, and if you’re in need of powdered sugar, simply grind it in your (very dry) blender or Nutribullet. p.s.Truvia is a popular 1-to-1 stevia sweetener around. So if you’ve tried Pyure and Sweetleaf and want to keep looking, you may want to give Truvia a shot. We’re not too crazy about the aftertaste though (though for some people there is none). Erythritol is probably the most popular sugar alcohol in the market today, with a GI of just 1. 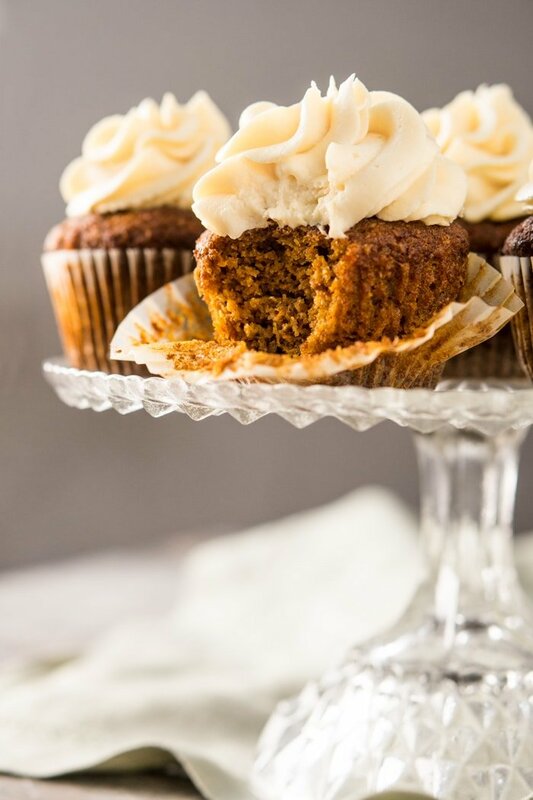 It’s also the sweetener that behaves most like sugar for crisp baked goods (think cinnamon toast crunch or our bakery-style chocolate chip cookies). It still, however, takes a few hours to crunch up. So expect your cookies to be much crunchier the day after! Also, in terms of its cooking and baking properties, do note that erythritol can freeze with crystals so it’s not your ideal choice for ice creams. Or you’ll just have to thaw them out for quite a bit to get them scoopable again. Top tip: if you’re finding your erythritol baked goods to have a minty sweetener crunch after baking you may want to powder it in a (very dry!) blender or bullet before use. I’m honestly not sure why this happens to some peeps, but powdering it seems to solve the problem! In terms of taste, do note that it has a cooling effect for post peeps (how slight or prevalent varies from palate to palate). And keep in mind that you can use its minty-ness in your favor for things such as our shamrock Tshake or thin mints cookies! And in terms of brands, based on all your comments (thank you, I honestly cherish them all! ), the most popular choices are either Lakanto or Swerve. And it really seems that you guys love one and hate the other ! But you can always grab a more off-brand product such as NOW Foods 100% erythritol sweetener. Xylitol is another naturally occurring sugar alcohol with a low GI of just 13 (still very low when you think sugar is 100!). Some peeps subtract its sugar alcohol carb count completely (like with erythritol), and others do half. I personally subtract it in full, as I find it doesn’t affect my levels a significant amount. You’ll also find that it’s a great alternative for those who have tried everything already and are still not quite satisfied. It’s definitely the most similar sweetener to sugar out of the lot, particularly in terms of taste. Once melted, however, it can take up to a day (or two!) to crisp back up– which renders it useless for crisp goods. Having said that, this same property makes it the best sweetener for ice cream (ever!). It behaves similar to inverted sugars, keeping your ice cream ultra scoop-able (even if not churned!). And because of it’s lovely melting properties, it’s awesome in lending chewiness to things such as our keto brownies. I also find it to be the absolute best sugar substitute in savory cooking. We’re talking about sweetening up your BBQ sauce or teriyaki. Tastes just like sugar. For real. Fun fact: xylitol is known to help keep the bacteria in your mouth at bay (i.e. to improve dental health). So it’s very frequently found as an ingredient in chewing gum. Sukrin Gold’s brown sugar alternative is the most widely used brown sugar substitute for low carb baking (think cookies!). 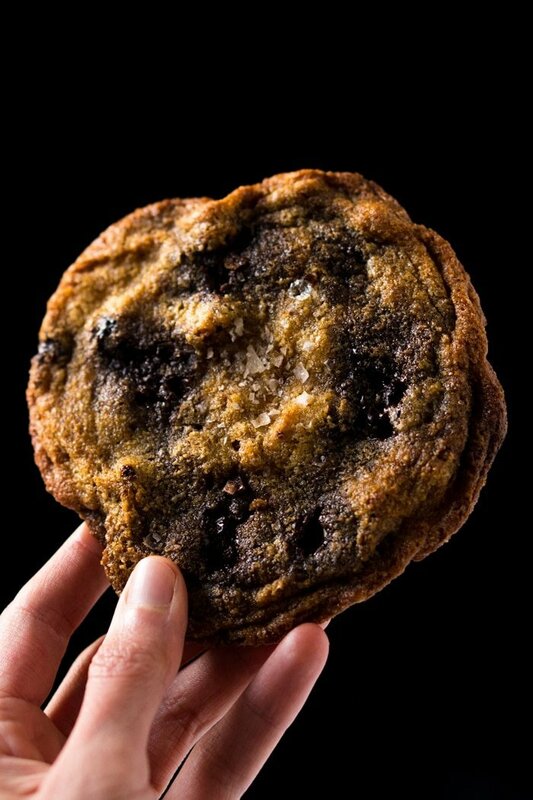 Another mixture of erythritol and stevia, it’s a very popular choice with you guys for our bakery-style chocolate chip cookies. Though do note that if gluten is a concern, Sukrin Gold does contain malt extract (which is not allowed in gluten free products in the US). Having said that the company states that they are significantly below the threshold for gluten free products (close to 1 ppm). And so it is considered legally gluten free in the EU. I personally avoid it, as I can’t risk it with Celiac disease. My hack? A touch of blackstrap molasses! It’s obviously not a keto sweetener (in large amounts!). But you’ll often fin I use tiny sneaky amounts (roughly 1/16th tsp per serving) to several recipes for a brown sugar touch. I find it diminishes the cooling effects of erythritol and improves browning. Plus, it’s a nutritional powerhouse rich in vital vitamins and minerals, such as iron, calcium, magnesium, vitamin B6, and selenium. And I honestly get a bigger sugar response from eating a strawberry, than a touch of molasses in a baked good (I’ve measured). But of course, everyone’s different so choose accordingly. Because pancakes. Perhaps the most popular choice is Lakanto’s maple flavored sugar-free syrup. Gluten free and non-gmo, this syrup is erythritol and monkfruit based. 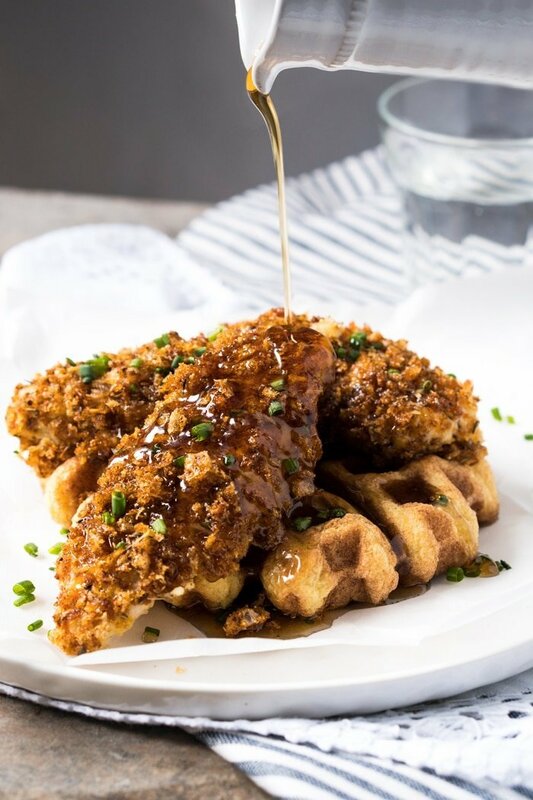 I love it for waffles (and, ahem, fried chicken ‘n waffles!). And tbh I haven’t tried any more sugar free syrups since I came across this one last year. Got a sweetener hack or note? Do drop it in the comments below! Your comments are invaluable when I create recipes, as they give me a great feel of what’s working (and not!) for you guys. Allulose. Period. I will never go back. I used to use Erythritol (actually made my own Monkfruit/Erythritol blend), but despite all of its pluses, and although It worked well as an ingredient in baked goods, the cooling sensation when sprinkled directly was distracting. About a year ago, I discovered Allulose. Same taste and texture as sugar, no aftertaste, all the benefits of Erythritol. Produced by Tate & Lyle, the company that created Splenda. I am looking for the best sweetener to use for glazing pork, and for making dipping sauces like sweet and sour sauce. I’ve been using Stevia, but haven’t tried glazing with it. Haven’t tried any of these other sweeteners due to cost. Seems like there’s a $10 or $15 minimum to try any. Stevia has an aftertaste for me but I have made myself get used to it, so anything with a strong aftertaste won’t work. Love, Love, LOVE your site! As someone mentioned above, we seem to have very similar tastes. I’m trying to find the best sweetener to use when making a meringue. I used to love making pavlovas which are based on a French meringue, but since going keto, I haven’t been successful in recreating this fabulous dessert. BochaSweet is a great keto sweetener. Zero glycemic. No insulin stimulation with a source of energy for cells. Tastes like cane sugar. First, thank you for this list. I have tried several and my go-to tends to be Lakanto and Stevia drops depending on my needs. I have a question for you. Last Christmas I tried making a flourless chocolate remoulade using Lakanto. The only thing I altered for the recipe was the sweetener because this was the only thing that made it not Keto. This did not work. It was way too sweet (and I am careful not to do 1:1 with Lakanto) but it also had a crunch. After reading your explanation of the difference sweeteners I am thinking that the ideal sweetener for would be xylitol. I realize I am not showing you the recipe, but in your opinion do you think this would be the way to go? Thank you Blaithin, super happy to hear the recipes are working for you so well! Regarding your cake, DEF! Check out the brownie recipe for reference, when readers use erythritol rather than xylitol the bather seizes up and some get crunchy crystals. The solution there is to use powdered erythritol and an extra egg, but xylitol is definitely more friendly in baking for a lot of things (other than crunchy cookies!) xo! I don’t work well with artificial sweeteners. 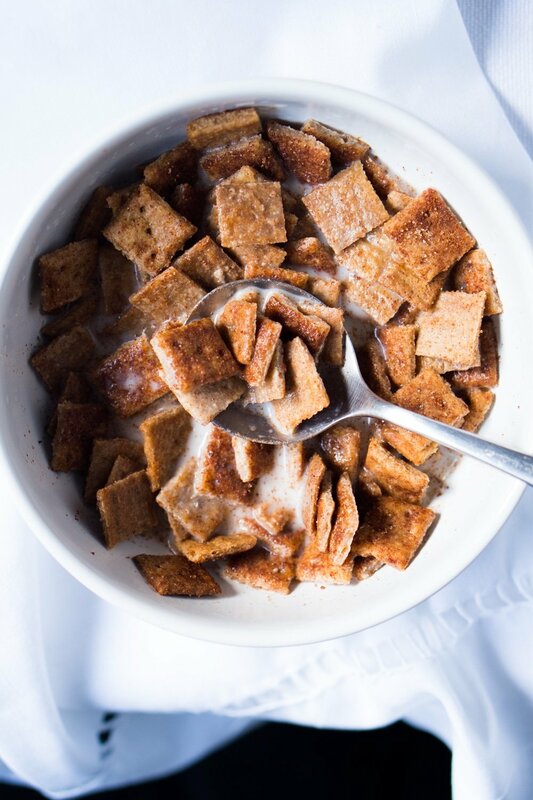 How can I use your recipes using either brown sugar, or cane sugar, or even date sugar? Thanks so much for putting in all ththe hard work for us to enjoy these delicious recipes! I’m really curious your take on Allulose, have you cooked with it? How do you recommend using it for baking applications? I use it for coffee and have tried a few recipes and I love that it doesn’t leave an after taste. But I’m a strict recipe person and can’t freestyle very successfully in the kitchen. Please let me know your take. Thanks Again! Hi Tiffany! In all honesty I haven’t experimented too much with it, other than for the marshmallows and ice cream (it works like xylitol, in that it keeps your ice cream ultra scoopable!). So far I have the impression that it shares a lot of the properties of xylitol then, I just haven’t tried it in crisp cookies (which in my experience only erythritol works) xo! Thank you – I love your website/recipes etc. Just wanted to point out – in terms of glycemic index (GI), this is based on the effect of glucose, which is therefore the only one that has a GI of 100. Sugar (sucrose) has a GI of about 65. WHAT’s THE BEST BAKING SUBSTITUTE FOR PEOPLE SENSITIVE TO SUGAR ALCOHOLS? I find that anything more than trace amounts of sugar alcohols in my food makes me feel like walking death: nauseated, stomach cramps.. and some other (so not worth it) side effects. I was a pastry chef for many years and love sugar and baking, but I’m keto now and sugar is out! My sweet tooth didn’t get the memo, neither did my baking gene. How can I still make a decent piece of cake and eat it too? Please help!! Sabes que NUNCA he encontrado erythritol en Mexico?! Hoy voy a city market y seguro lo busco (ya no tengo ahorita!). Ahi compro el xylitol si tengo una emergencia, pero por lo general lo pido de iherb.com. Tardan un poco en enviarlo a Mexico (2 semanas-1 mes), pero están como a 40-60% del precio de aquí. También la harina de almendras etc 😉 xo! te dejo la pagina! http://livana.com.mx/ Creo también lo venden en costco, mínimo en su página aparece, no lo vi en el de mixcoac. I like to use Tagatose – it measures 1:1 to sugar, tastes like sugar and browns and caramelizes just like sugar, so great for baking or making candy or syrups. A bit on the expensive side, but most of these types of sweeteners are. I also use VitaFiber syrup when I need a liquid, syrup type sweetener. Bochasweet and Allulose are my favorites too with slight edge to Bochasweet. Besides ice cream they work great with chocolate. Thanks for this great tutorial on sweeteners. I have so many in my pantry, and I also switch off using different ones for different purposes. One that you did not mention is Allulose, which I recently started playing with. It’s a very gentle, and very palatable, sweet. It’s a pretty fine powder, so could be used in recipes that call for powdered sweetener. You need to use a little extra, as it is not equal sweetness to erythritol or sugar. I also switch off between Just Like Sugar Brown and Sukrin Gold for brown sugar substitutes. Each has its own taste, and one will work better in one recipe, but the other works better in another for the specific taste you’re going for. Yacon Syrup is the ideal substitute for molasses. Same taste, same calories and carbs, but much lower GI. It takes a lot of experimentation to get all of these recipes just right. Thank you SO much for all that you do! I enjoy your recipes, and I share them in my Aunt Rocky’s Low Carb Recipe group regularly. Allulose and Bochasweet for scoopable ice cream!! Plus Allulose caramalizes. I mix those two plus stevia/monk fruit/erythritol blends to make a 1:1 sweetener that minimizes aftertastes. What ratio of each do you use? Are there any particular applications the combo works better or worse for? Thanks! Allulose is about 70% as sweet as sugar, so I mix 3/4 cup Allulose with 1/4 cup of Monksweet+ or any other erythritol, Stevia/monkfruit Blend that is twice as sweet as sugar to get 1 cup that is 1:1. Then I’ll mix that with Bochasweet. Doesn’t matter what ratio but I use more of the Allulose Blend than Bochasweet because I find BS can have a metallic taste (I haven’t heard anyone else say they get that though). Love your blog! A quick recommendation for syrup. I haven’t tried the Lakanto syrup, so I don’t know how good it tastes, but ChocZero’s Honest syrups are so freaking amazing. If you haven’t tried them you will be really surprised. It’s thick and sticky and tastes like Aunt Jemima’s or Log Cabin. Try it out if you haven’t yet. They also make a keto bark that was as delicious as any fine chocolate I’ve had. Really good products from that company! 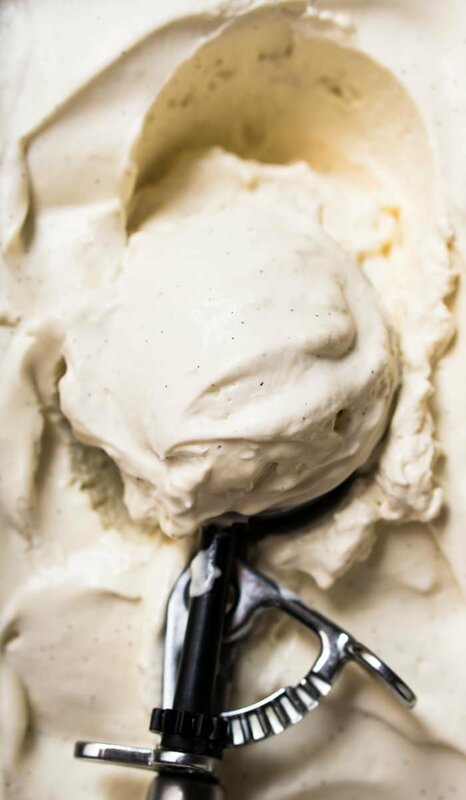 OMG, I just made your vanilla yogurt ice cream (just as written) and it is the absolute BOMB! Good thing I portioned it out in serving sizes because if I had used a container to put it all in at once, it would have been GONE in one sitting. Oh My YUM! Thank you sooooo much for all your work and testing. Im going to make another batch tonight . I did use my own homemade vanilla using rum as a base, and I cannnot tell you how absolutely fabulous this ice cream tasted! About substitute for brown sugar without risking with the gluten issue, why don’t you try Lakanto golden? It’ just erythritol and monk fruit, as the regular white one, and doesen’t contin any extract like malt or from other sources (on the website they explain that the different colour is given from the different part of the monk fruit it derives from: while for the white granular sweetener thisderives from the inner part of the fruit, for the golden one it derives from the exterior one. No other additional ingredients). I’ve tried them all and my favorites are Swerve granulated and confectioners, Lakanto confectioners and Lakanto Maple Syrup. I also use Sukrin Gold when I need brown sugar. Hi there! 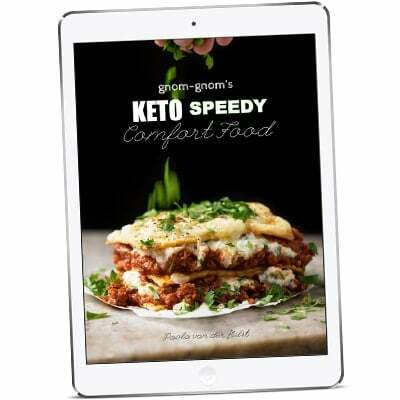 You blog is one of my favourite Keto sites! Your food palate is so similar to mine! Love it! In terms of sweetener I do find all of these difficult to eat. I find them quite bitter. But maybe your breakdown would help. However I am wondering if you have ever tried Whey Low? This is the closest I have found to the taste of real sugar. It does show as a sugar in the nutritional information and is not a sugar alcohol. However if you read their site it talks about the fact that this has a low glycemic index and was developed for diabetics. I have found a few reviews of people on Keto who found they have no effect using it. I have also checked my ketone levels with no change the day after consuming it. I was just curious of your thoughts! Have you tried Stevia Glycerite? I read that it is not quite as sweet but have not tested it for baked or non baked goods yet. Stevia and Xylitol have such strong after tastes for me. Interested to hear your take as I value your opinion greatly! Yessss. Love lists like this, and yours is the only one with the addition of Lakanto (I’m one of those people! But I like Swerve for some things). I also haven’t found another keto food blog that talks about how using different sweeteners affects the finished product. Thank you so much for this list! Thank you for this link. Did you ever try Sola? So far, it is the sweetener that I find most resemble real sugar. It even caramalizes! It’s just not widely used yet. I have only been able to order it on Amazon. My favorite keto sweetener for baking is Steviva’s MonkSweet+. It’s a mixture of erythritol, monkfruit and stevia. It measures 2:1 sugar to MonkSweet+. I’m at a high altitude, too, and love your recipes!